The existing Town Hall was built in three distinct phases. The Municipal Reform Act of 1835 was the impetus for the first wave of town hall buildings in the provinces. At a stroke it created 178 municipal corporations endowed with new duties and powers. Unlike old-style town government, most councils chose to build new offices rather than share premises. London vestry halls were required for the 38 separately constituted vestries. They were mainly classical in order to signal the vestry’s independence from Church control. In 1831 the Shoreditch population was 69,000 and by 1851 it had grown to the astonishing figure of 109,000 making it one of the most densely populated areas in Europe. In terms of industry the area was particularly famous for its furniture and shoe trade but was also home to a wide variety of small manufacturing and trading businesses. The roughly £30,000 which Shoreditch vestry spent on their new building was far greater than any other London vestry paid until the end of the century. There were 120 members of the Shoreditch vestry alone. Portland stone was specified for the new building, and the style was meant to be ‘modern…for the purpose of a public edifice.’ But the outstanding feature of the vestry would be the massive Assembly Hall, capable of seating up to 800 people and taking up the entire width of the first floor. The foundation stone was laid on 29th March 1866 by Sir John Thwaites, Chairman of the Metropolitan Board of Works and the finishing touches were being put to the great Hall’s decorations in summer 1867. The first phase of building consisted of the five bays to the left of the present tower range and was entered by a single-storey porch carried on paired Ionic columns. It was designed by the Shoreditch district surveyor, Caesar A. Long. The single bay, set back ranges to either side of this first build were added before 1897, most probably in 1893 in order to meet the safety standards imposed by the newly formed London County Council. The Local Government Act of 1899 extended the scope of local government in London creating the municipal boroughs which survived until 1974 and providing the impetus for the construction of an entire new generation of local government buildings. Between 1898 and 1902 the architect W.G. Hunt2 incorporated the earlier vestry hall into one coherent, monumental design. This phase, following on from the Local Government Act 1899, has a three-bay façade topped by a pediment, the tympanum of which bears figure sculpture and the coat-of-arms of the newly established Metropolitan Borough of Shoreditch. A two-stage tower with a niche features an allegorical female figure, identified as ‘Progress’, holding a torch, a reference to the Borough’s innovative street-lighting and refuse-destructor scheme. One of the conditions imposed on the architect was the retention of the old vestry chamber for use as a council hall, as well as the massive Assembly Hall on the first floor. This was at the time the largest public hall incorporated within a vestry hall complex in London. Perhaps the most ambitious and noteworthy public work of this second phase of municipal reform was the complex constructed to the north of Hoxton Market which combined refuse destructor, electricity generating station, library, baths and a washhouse. There was an elegant economy to it all, since the burning of refuse was used to drive turbines that generated electricity (to light the streets) and steam (that heated the baths and library). The remains of refuse burning were recycled further as aggregate for the concrete used in constructing the Town hall extension. Just before the old vestry was transformed into a municipal borough by the Local Government Act of 1899, Lord Rosebery, briefly Liberal Prime Minister (1894) and previously a Chairman of the London County Council, presided over the opening ceremony of the refuse-destructor complex, praising Shoreditch as ‘one of our model Vestries’. When the new metropolitan borough of Shoreditch was created in 1900, it adopted the motto ‘More Light, More Power’, in recognition of this great public work. 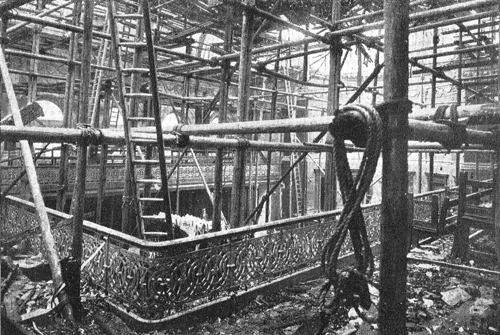 On 15th August 1904, towards the end of construction of the second phase, a fire started in the roof of the old hall, completely destroying it and the surface decorations below. The structure remained, including the galleries. Fortunately the Council Chamber was not harmed, nor was any substantial damage done to the ground floor. Although the accident had happened while decorators were putting finishing touches to the interior, they were exonerated in the investigation into the fire which followed. A.G. Cross of 17 Old Queen Street added the present broken pediment with odd, block inset, that now spans Long’s original elevation. After the roof the most expensive item was the rebuilding of the Hall’s proscenium arch and it new decorations. Cross also replaced the old iron supports for the Gallery with reinforced concrete beams. He also decided to span the Hall with a steel roof, to provide dressing rooms behind the stage area of the Hall and to link these via a passage to the rear, which was apparently lacking in the old arrangement. The floor and some of the 1860s stonework needed replacement because inferior materials had been used in the initial construction. The present Hall opened in 1906. 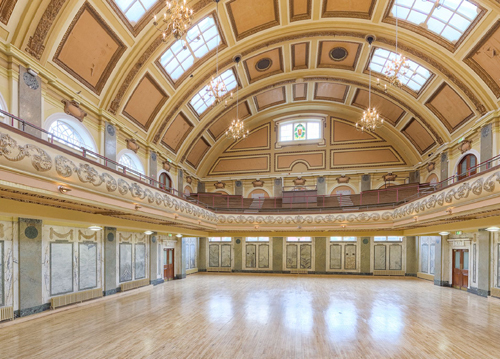 The Assembly Hall became a major venue for Music Hall in the late nineteenth century, thanks to the fact that the space was designed as a purpose-built auditorium, rather than a space predominantly used for civic business. Notable appearances include those by Arthur Lloyd and Max Miller. A third phase of building took place between 1936 and 1938 and corresponds to the brick ranges to the rear of the Old Street block and is entered by Rivington Place. Architecturally it is the least distinguished of the three. 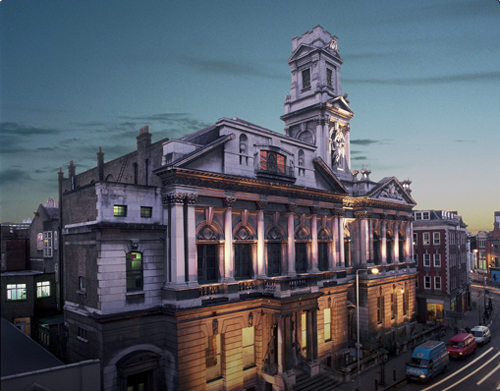 There were a number of other theatres and halls in the neighbourhood, but the Assembly Hall in Shoreditch Town Hall is the only high capacity space to survive from the period. 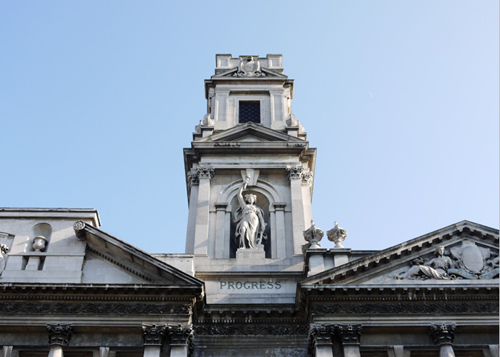 During the 1960s, in common with many civic halls, Shoreditch Town Hall became a regular venue for boxing, with the Assembly Hall becoming the UK’s best known venue for the sport at the time. 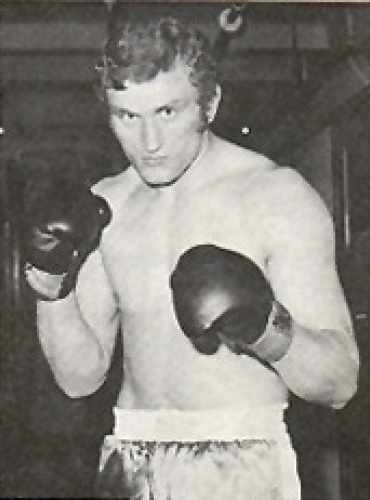 However this chapter came to an end in 1969 when UK heavyweight champion Joe Bugner beat Ulric Regis over eight rounds at Shoreditch Town Hall, only for the Trinidadian to suffer severe concussive brain injuries. Regis died five days later. As a result of this many local authorities banned the sport. In 1965 the boroughs of Shoreditch and Stoke Newington merged with Hackney to form the London Borough of Hackney, with the result that civic administration moved to Hackney Town Hall. The building entered a period of decline. During the early 1990s the Assembly Hall became the venue of the Whirl-Y-Gig global Trance and Dance gigs. By 1996 the Town Hall was placed on English Heritage’s Buildings at Risk register, having fallen into disrepair. However, by the end of the decade the London Borough of Hackney supported the creation of Shoreditch Town Hall Trust to take over the building and develop its spaces as a local resource. Major structural renovations were undertaken in subsequent years and the building was removed from the ‘at risk’ register in 2006. It has become an increasingly popular venue especially for launches amongst the visual arts and digital technology companies. Further work is currently planned. I was asked to carry out an analysis of the decoration in the Assembly Hall. 1 Taken almost verbatim from Chris Miele. Shoreditch Town Hall. 2 He appears to have been the architect of the Harrods Furniture Depository buildings too.